The latest issue of The Lowestoft Chronicle is now available. Loosely themed around travel and adventure, this is the only literary magazine I read these days, and it's always enjoyable, a fine blend of short stories, poetry, and essays. Editor Nicholas Litchfield does a fine job with it, and you can check out the new issue here. 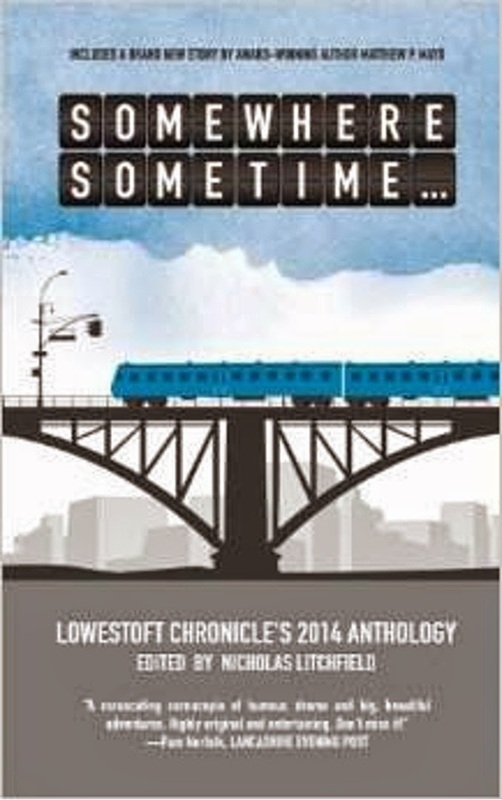 The magazine's latest print anthology SOMEWHERE, SOMETIME just came out, too, and I'll be reviewing it soon. Literary magazines and little magazines have been one of my guilty pleasures for decades. I have one room that is nothing but sets of T.S.Eliot's THE CRITERION, Cyril Connolly's HORIZON, Ford Maddox Ford's ENGLISH REVIEW, etc. I've been attacked by other collectors because I actually read the things and even subscribe to them. Three of my favorites are GEORGIA REVIEW, GETTYSBURG REVIEW, and THE HUDSON REVIEW. I have most of the back issues of many such titles and I've noticed that the floors are starting to sag. I've already had bookcases fall on me. Now I know two other collectors who also are interested in literary magazines: Todd Mason and James Reasoner. Anyone else?